If you’re visiting Vietnam, there is a good chance your trip will revolve around the capital city of Hanoi. Combining French cultural influences with Vietnamese cuisine and heritage, Hanoi is a place full of incredible attractions. The city offers local flavors courtesy of stunning temples, puppet theaters, and countless outdoor markets. 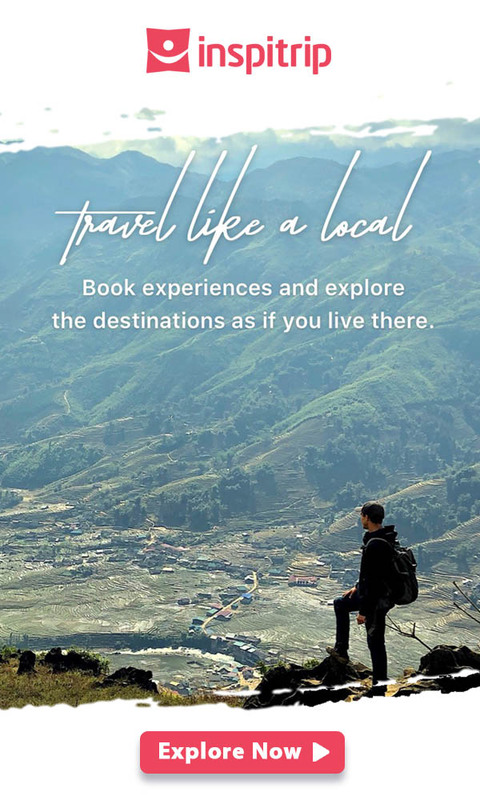 To truly experience the best of northern Vietnam, head outside of the city with off the beaten path destination in Hanoi! Hanoi is the kind of place where you’ll want to spend a few days to really explore all its museums, landmarks, restaurants and nightlife. But when the traffic and smog start to drive you mad, leave the city behind and head to the countryside on a day trip. 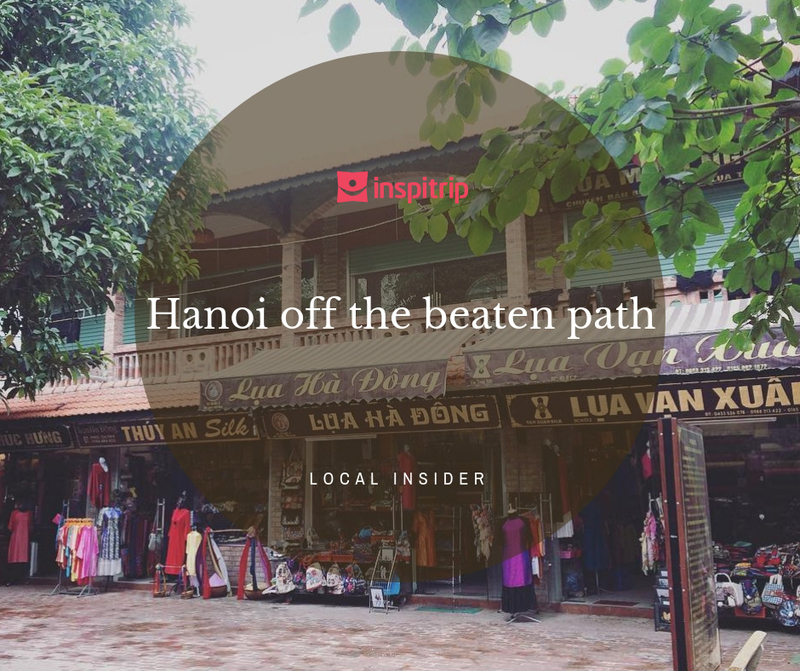 It can be difficult to narrow your choices, so here are Inspitrip’s 10 best local experiences you can try during your trip to Hanoi. Situated on the bank of the Nhue River, about 10 km southwest of Hanoi Old Quarter, Van Phuc silk village is known for its traditional weaving techniques and premium quality silk products. At an age of more than 1,200 years, Van Phuc is proud to be the oldest silk village providing the best silk in Vietnam. Visitors to Van Phuc village are sure to be impressed by the daily lifestyle of this ancient village in the north of Vietnam with banyan trees, wells, communal houses, and the sound of power-looms everywhere. Walking on the main road in Van Phuc, tourists will be lost in the world of silk among various products like shirts, ties, crafts, dresses… made of silk available in the village. Van Phuc silk has been known for its smooth, lightweight, and elegant appearance. Especially, a traditional kind of silk called Van Silk made in Van Phuc feels cool in summer and warm in winter. 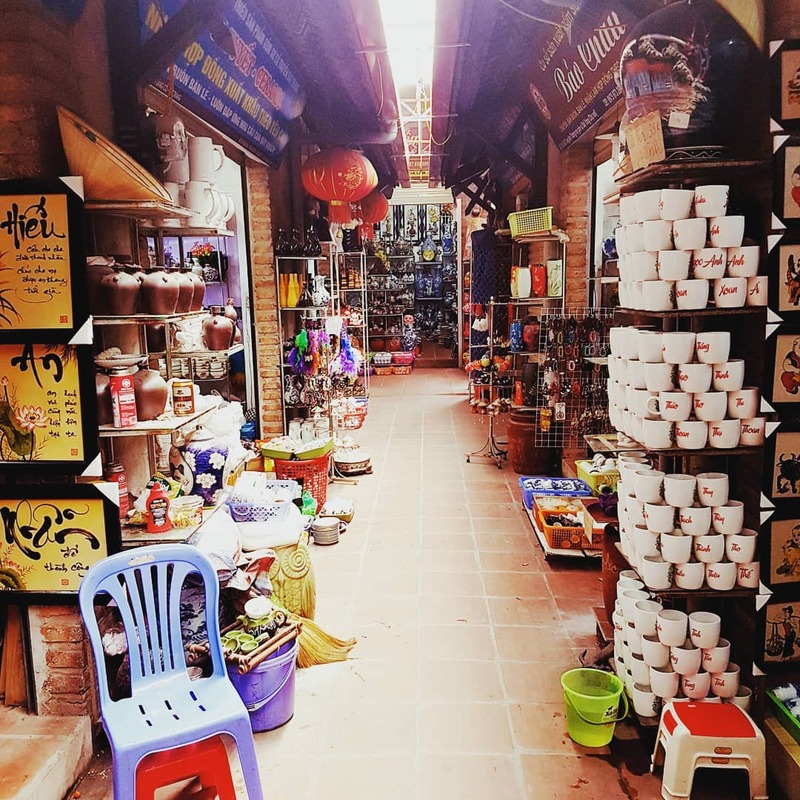 Many families in Van Phuc open their own shops on the main road of the village; creating a “town of silk” that sells eye-catching and high-quality silk products. Tourists may buy nice souvenirs and clothes in the shop, or select the most suitable materials to then get customized products. Vietnamese food holds a special place on a locals’ palate and so should it on every traveler’s. Distinct textures and flavors will delight as you savor the sweet side of Vietnamese cuisine. Come and join our host, Ms. Oanh and her daughter in their house which is also where they prepare and desserts for hundreds of customers daily. Running a small delivery business, Ms. Oanh and her daughter deliver desserts to schools, office buildings, and even households around Hanoi. 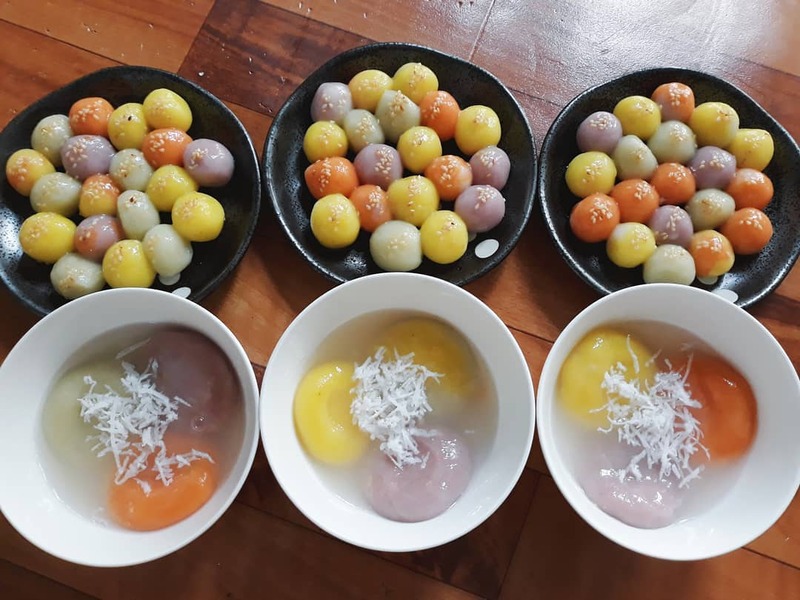 Bánh trôi nước (“cake floating in water”) is a little sugary ball of sticky rice – often shaped like bird’s eggs – with 2 different variations: a green-bean-paste and a black-sesame- paste in the center. This dessert is one of the most popular traditional Vietnamese desserts consisting of balls made from green bean paste wrapped in a shell made of glutinous rice flour. It sounds quite difficult but actually, the process is not hard at all. When visiting the family with quite a famous history of making floating cake from such a long time, you will definitely be surprised by how they were made. Starting from the very first step of preparation of cooking the green bean and dried fried sesame, to the final completed bowl, you will get an idea of how traditional desserts are made in a way that has lasted ages. Bac Ninh is located in the Red River Delta region, surrounded by Bac Giang to the north, Hung Yen to the south, Hai Duong to the east, and Hanoi to the west. The topography is quite flat with a complex network of rivers and springs, including the Cau, Duong, and Thai Binh rivers. 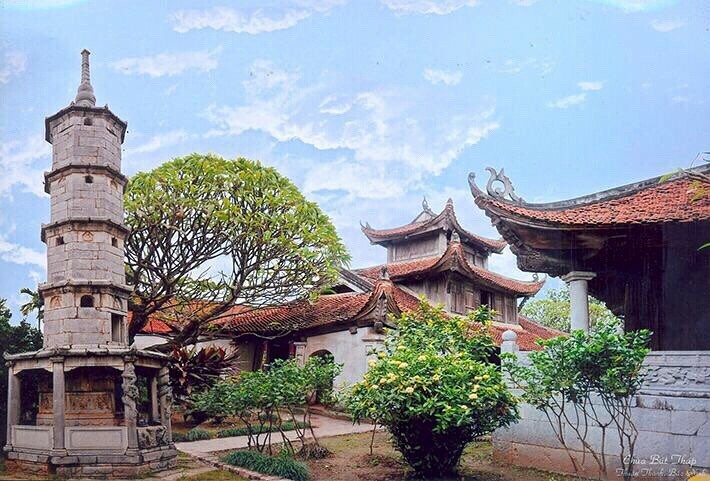 Bac Ninh used to be an ancient town, a trade center of Vietnam from the 2nd to 10th century. Buddhism was introduced early in its establishment and flourished under Ly dynasty. Many pagodas and temples were built such as Phat Tich, Dau, But Thap pagodas, Dinh Bang Communal House, Do Temple. Bac Ninh is cradle of Quan ho folk-songs. The village’s popular festivals take place in many pagodas, temples and communal houses, especially because they usually are organized in the spring. 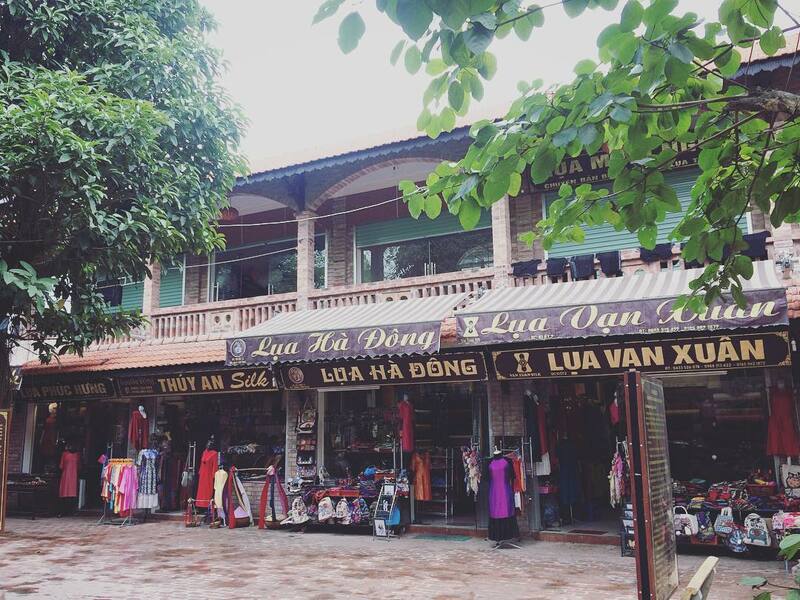 Bac Ninh has some tradition handicraft villages such as Dong Ky Wood, Dong Ho Pain, Dai Bai Bronze, Phu Lang Pottery. 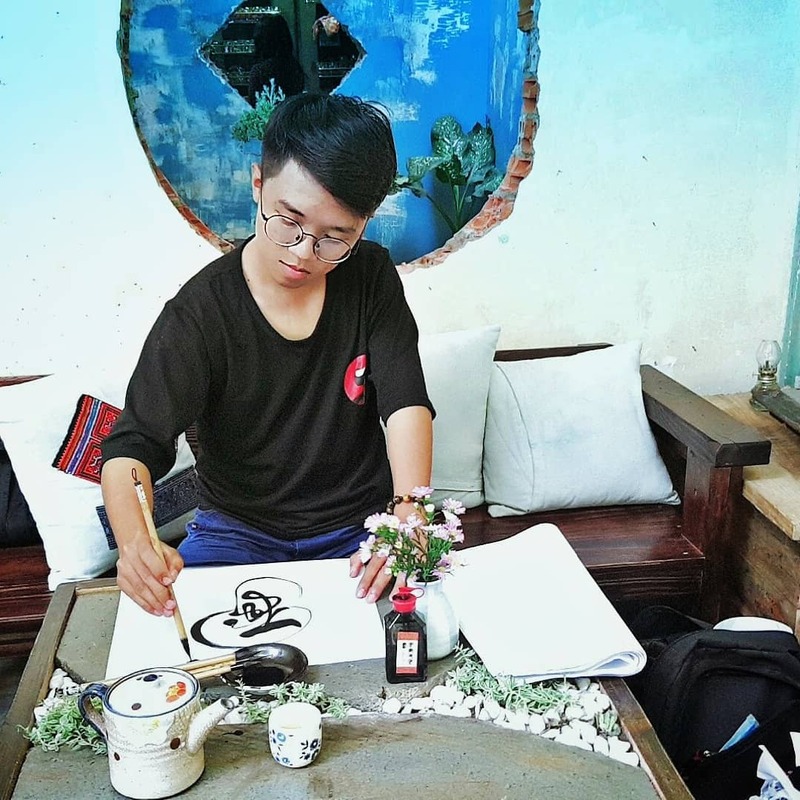 Ever since calligraphy was introduced to Vietnam by the Chinese as one of the many cultural exchanges that shaped Vietnamese culture, much has changed over history to adapt the art to better express the richness of the Vietnamese language. Its usage was historically confined to scholars and noblemen when the use of Han script was still prevalent, but today, the art has taken root in both modern Vietnamese calligraphy of the Chinese characters and its national language, Quoc-Ngu that originated from the French rule. The elegance of brush strokes as they define each character is as appealing as art itself. What intrigues, even more, is how different characters gracefully harmonize to change the meaning of a word. The character that describes women, for instance, can mean ‘peace’ if the character for the word roof is placed over it. Seeming abstract in nature, the art follows a rule that is both fascinating and exciting. In this experience, you will learn calligraphy in the Vietnamese Language and/or English. Our host, a skilled artist, and a calligraphy master will take you back in time and present an art that is still revered and respected. Don’t miss this chance to write your own strokes as you learn this ancient art. Bat Trang is an old, well-established village in the Gia Lam district of Hanoi. It is about 13 km from central Hanoi. Since the 14th century, the village has been famous for ceramic and pottery products of high quality. If you’re already familiar with Viet Nam, you may not be surprised to hear that Bat Trang’s vases, bowls, dishes, and many other kinds of ceramic products have been exported worldwide. Under careful instructions, kneading clay into animals and cartoon characters and making pottery has become a fun activity to let loose after long weeks traveling from Saigon to Hanoi, especially for children. Le Mat is a village in the Northeast of Hanoi, now in Viet Hung Ward, Long Bien district. It is 7km north-east of central Hanoi. Since the 18th century, the village is a purely agricultural one but it is famous for its snake catching vocation. 20% of villagers are living on the vocation of raising and catching snakes with new services generated around this job. Le Mat people own a treasure of knowledge and experience about snake catching techniques, making tonic medicine from snakes or medicine for treating injuries from snake bites. Along with village paths and big roads in Le Mat, you still see quite a lot of restaurants selling snake specialty products. 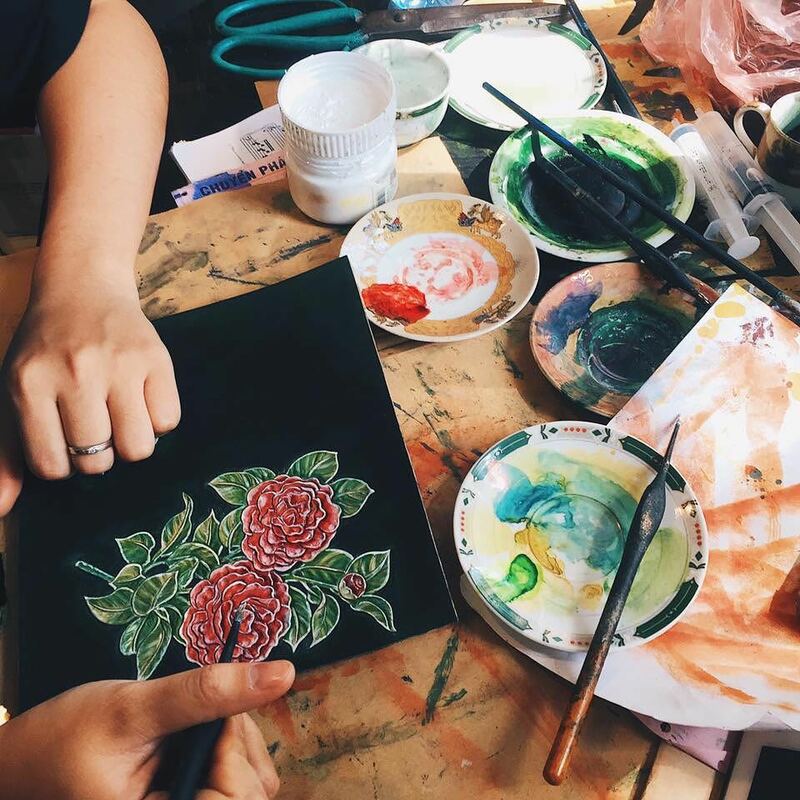 Enjoy the charming art of Vietnam and experience something unique with a workshop that helps to enrich your knowledge of Hanoi’s creative soul. This experience is in one of the city’s hidden spaces, not usually visible to travelers, and lets you see for yourself the wonders of leatherwork and a new creative realm. Located in a small alley with a cozy atmosphere where hard-working people dedicate their time and passion for their craft, this workshop offers you a space to make your own leather creation. Your passionate instructor and friendly staff are willing to help you with advice on what you can create, complete with samples and insight into how to complete your piece. A half-day with the workshop gives you a relaxing time, where you can chat about the craft while making your own leather goods. You also have an opportunity to attain new knowledge, broaden your horizons, and learn in ways you didn’t expect or imagine. Ba Be National Park has been featured in hundreds of newspapers, magazines,… But nothing can prepare you for experiencing its beautiful landscapes and clear waters first hand. The lakes have a lot to offer, including waterfalls, rivers, valleys, lakes, and caves all set amidst picturesque landscapes. The area was established as a nationally preserved forest and tourist center in 1978, before being established as Vietnam’s eighth national park in 1992. Ba Be Lake lies in the middle of the vast limestone mountain range of Ba Be National Park with large and small islands of limestone rising out of the water, many of which can be explored on a kayak. There are also several caves to find, with beautiful rock formations that have developed over millions of years. Of those, a good example is Puong Cave, through which the Nang river runs under its magnificent limestone structures. Its picturesque entrance lies to the northeast of Ba Be Lake, in the hillside of the Lung Nham Range. With further exploration of Ba Be National Park, tourists will also begin to discover some of the villages in the region. Sapa is a beautiful, mountainous town in northern Vietnam along the border with China. Located at 1500 meters above sea level in Vietnam’s remote northwest mountains, Sapa is famous for both its fine, rugged scenery and also its rich cultural diversity. The town and its surrounding region are host to many hill tribes, as well as rice terraces, lush vegetation, and Fansipan, the highest peak in Vietnam. Not only is Sapa intriguing with its fresh cool atmosphere of mountains endlessly stretching, but it is also impressive with the majestic and magic beauty of the waterfalls. Lao Cai is a town in northern Vietnam on the border of China, adjacent to Hekou and only 30 minutes away from Sapa. For travellers, Lao Cai is the jump-off point when journeying between Hanoi and Sapa by train, and a stop-off when heading further north to Kunming in China. Silver Waterfall (Thac Bac) has long been famous as one of the wonderful tourist attractions in Sapa. The waterfall falls down from the height of more than 100m. It is situated in San Sai Ho commune, Sapa district, Lao Cai province. The waterfall is located right next to National Highway 4D, the arterial roads to Lai Chau province, which is fairly convenient to visit. Magnificent natural scenery on the trips, the pine forests, the chayote gardens spreading over the hillside. 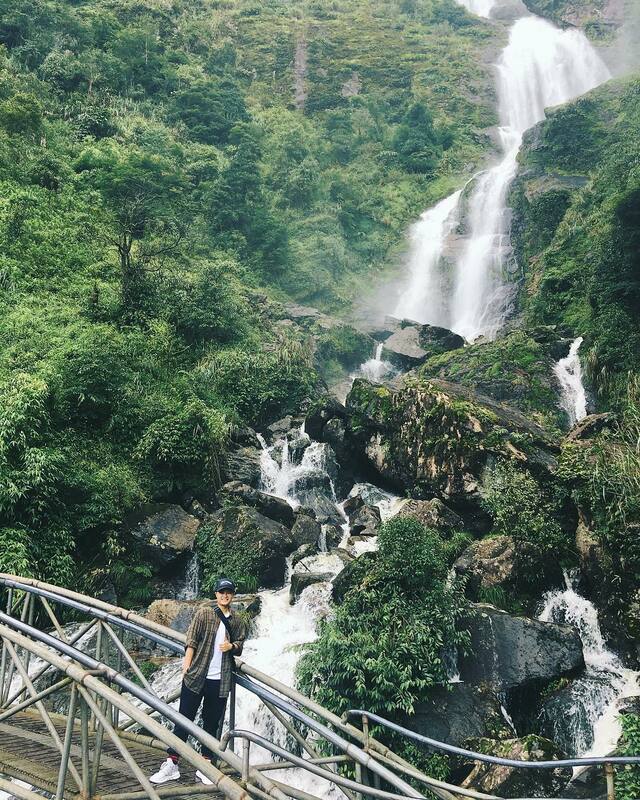 Discovering Silver Waterfall is definitely one of the most unforgettable things to do in Sapa. Fansipan Mountain located 9km south-west of Sapa, in the Hoang Lien Mountain Range. With an altitude of 3,143m, Fansipan Mountain is the highest peak in Indochina and known as the “Roof of Indochina”. 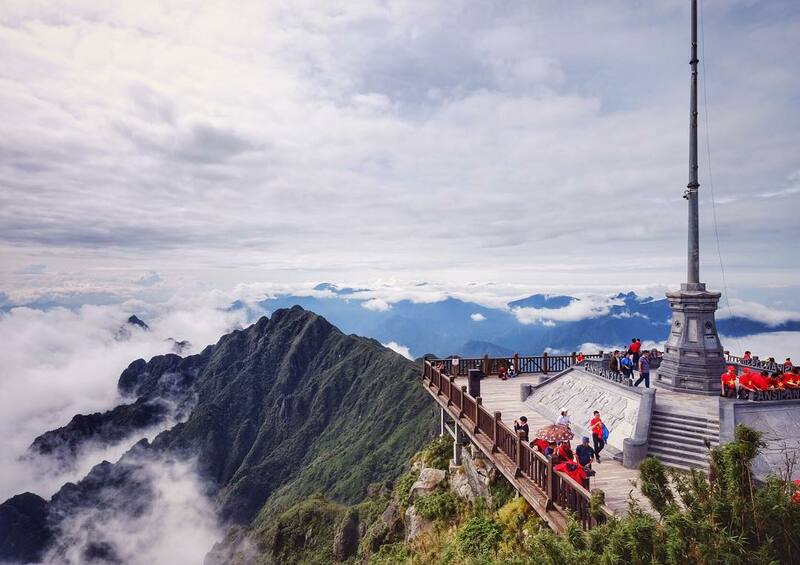 Conquering Fansipan Peak is always a longing for those who love nature and exploring new things. The summit of Fansipan is accessible all year round, but the best time to make the ascent is from mid-October to mid-November, and again in March. 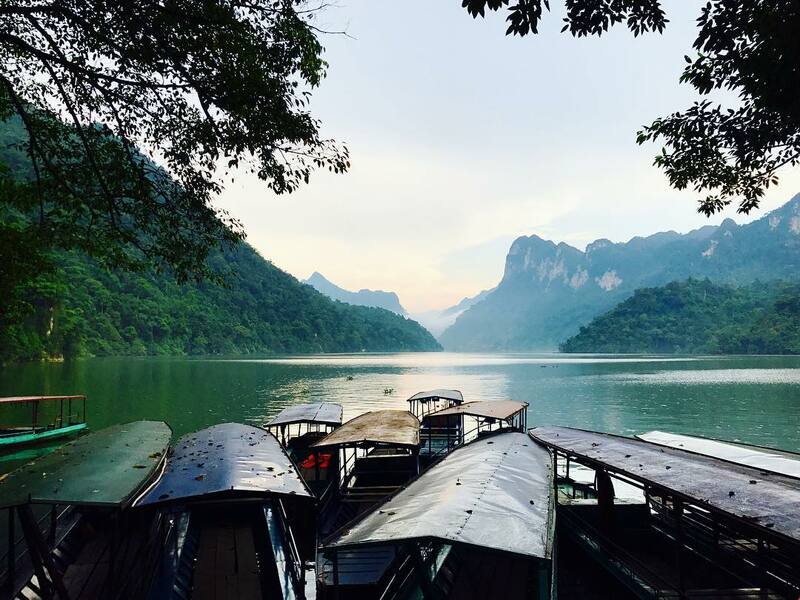 Foreigners typically prefer to book Fansipan tours between October and December, as this period is usually free from the heavy rains that obstruct the climb. But the Vietnamese prefer their tours to the peak of the mountain from February to April, as it is not so cold then. However, the most picturesque time for conquering the mountain is from the end of February to the start of March, when the flowers begin to flourish and the climbers are able to behold the carpets of brilliant blossoms. Vietnam’s capital has been slower to jump on the craft beer bandwagon than Saigon – especially when it comes to local brewing. Although the number of craft breweries in Hanoi is smaller than in Saigon, trying craft beer here is indeed special. A bunch of new bars have opened and the city has since started to churn out more of its own brews. Craft beer drinkers are now spoiled for choice in Hanoi. 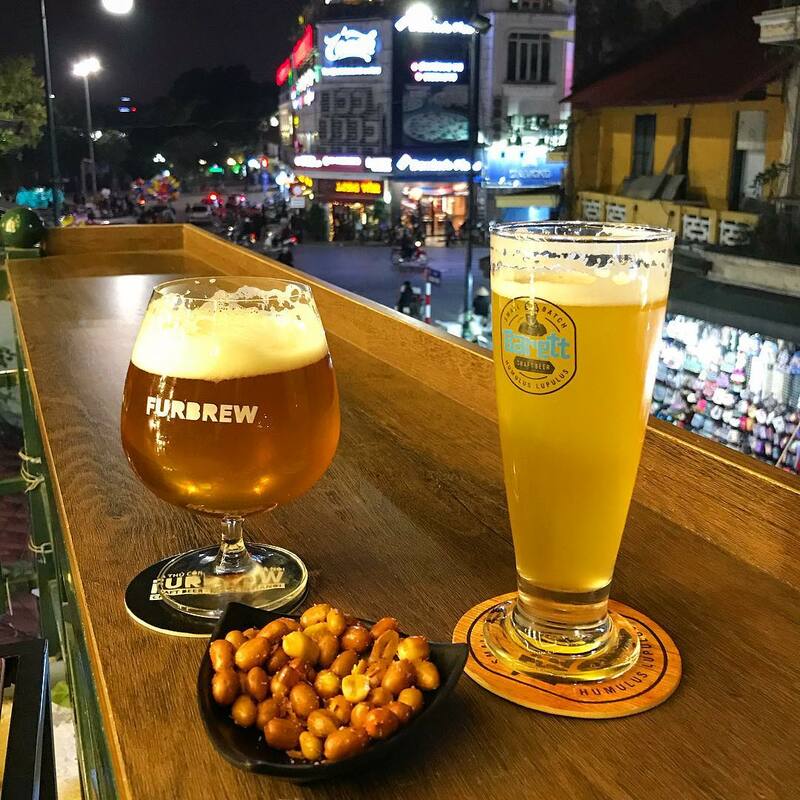 Roaming around pulsating streets, you will find craft beer with flavors not only from imported ingredients but also from the Vietnamese ones. It is so hard to ignore a Hanoi nightlife experience in which craft beer plays a central role. Keep an eye on where you can taste some of our suggested craft beers: Bia Hoi Corner, Hoa Vien Brauhaus, Ray Quán, Furbrew, C-Craft Beer Restaurant, Standing Bar, Hằng Vui Craft Beer Restaurant, Hanoi Ale House, Hanoi Social Club, and A Taste of Hanoi Craft Beer Tour.